On my commute to the office this morning I received a call from another “master” seller – this is why I love pre-election season! While there is an air of wait-and-see inertia for some of corporate America, the best sellers are using this time to their advantage. Are you? I’ve had national sales teams in my office this week working on “fox” hunting and intelligence gathering in their major accounts. There is a sense of urgency that is contagious among the best sellers. 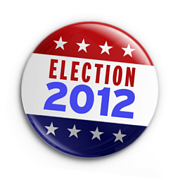 know how the election impacts their customers and their customer’s customers will lead Q4 and FY2013. Check out p. 75 of the New Power Base Selling for six customer research activities you can do in 30 minutes right now and what to look for: executives, biographies, social media profiles, public presentations, news releases and the chairman’s letter. Don’t let anything get in your way!